Before Prohibition, American brewery companies often purchased saloons in order to ensure that their beers were on tap. Saloons in the nineteenth century could be rowdy, unlawful places. Gambling, prostitution, grifting, crime – you name it, it probably went down in one of these wretched hives of villainy. But, Prohibition (also known as the 18th Amendment and the Volstead Act) didn’t prevent people from drinking. If anything, it made them drink more. Speakeasies opened up around the U.S. in the early-20th century to serve alcohol made at illegal distilleries and breweries. Weirdly, a lot of the illegal booze came from Canada and was shipped to the Midwest, specifically to Detroit and Chicago, two cities where the gangster Al Capone controlled liquor distribution. Before Prohibition many lagers and bocks were popular both with brewers and drinkers. These beers were known for their rich flavors and high ABVs. But during the thirteen dark years of Prohibition, a new generation of beer drinkers grew up on soda and other sugary drinks. A beer that has happily pounced on the notion of Prohibition and the edgy glamor of the speakeasy is Prohibition Ale brewed by San Francisco’s Speakeasy Ales & Lager. The bottle even has some shifty eyes on its neck. It’s a cute presentation. Other beers from Speakeasy (past and present) have included a Bootlegger Black Lager, Public Enemy Pils, Molls Mild, the Mickey Finn Imperial Red Ale, and the Untouchable. This is a nice and smoky beer, with an amber color and a really thick head. It’s definitely made by some hop fanatics as there are some nice floral and bitter notes going on as well. It reminded me somewhat of a Bass Ale, except with more bite. It’s still very smooth and drinkable. 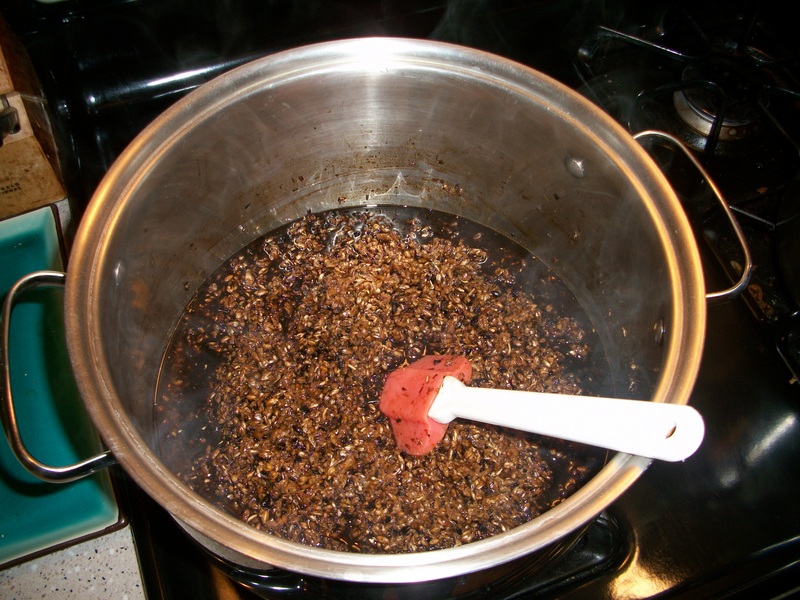 After Prohibition many breweries were forced to shut down and their recipes were thus lost. 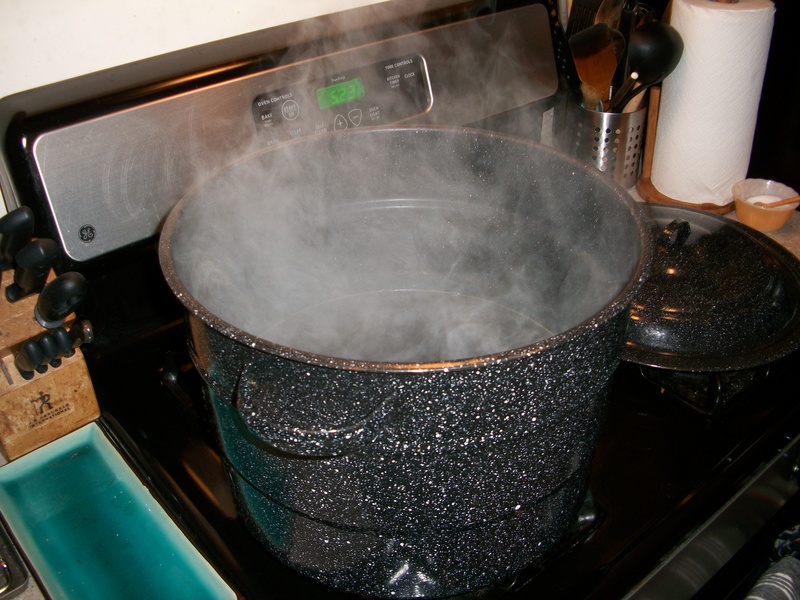 That why whenever a craft brewer comes across a pre-Prohibition recipe, they are quick to recreate the beer using traditional techniques. As near as I can tell, Prohibition Ale is not one of these beers. It’s a new recipe, made in a contemporary style but one that looks back to the sweet and flavorful American lagers that went extinct during Prohibition. The result is a really nice beer – very drinkable, very refreshing, very complex flavor profile – and it’s worth tracking down. The marketing is a little silly. Speakeasy’s beers can be found in some select locations in New York. You can find bottles at saloons like the Fourth Avenue Pub, the Keg and Lantern, Toast, and at Tom Colicchio’s Craftbar. 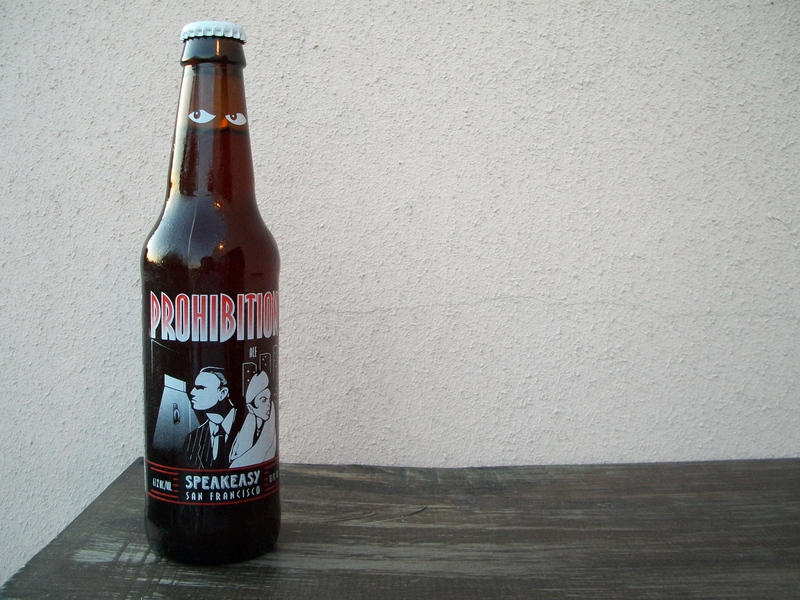 The Prohibition Ale is also available at retailers, such as Grab Specialty Foods. 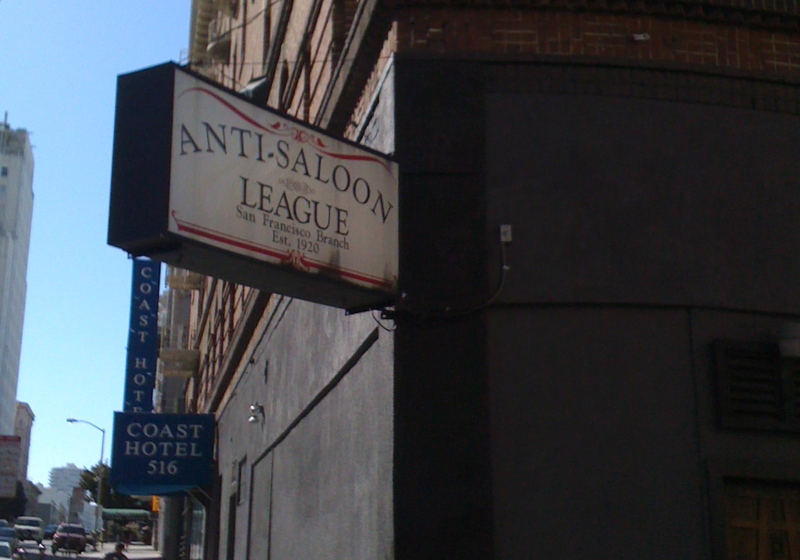 Pictured at the top of this post is the Anti-Saloon League in San Francisco. Historically, the Anti-Saloon League was one of the organizations that led the way for Prohibition. Pay no attention to the sign, though. This is actually the location of the faux-speakeasy Bourbon & Branch. We’ve come a long way. The Jack D’Or Saison from the Cambridge, Mass.-based Pretty Things Beer and Ale Project is one of those beers comes as near to perfection as possible. I had my first three days ago and have been lusting for another since. 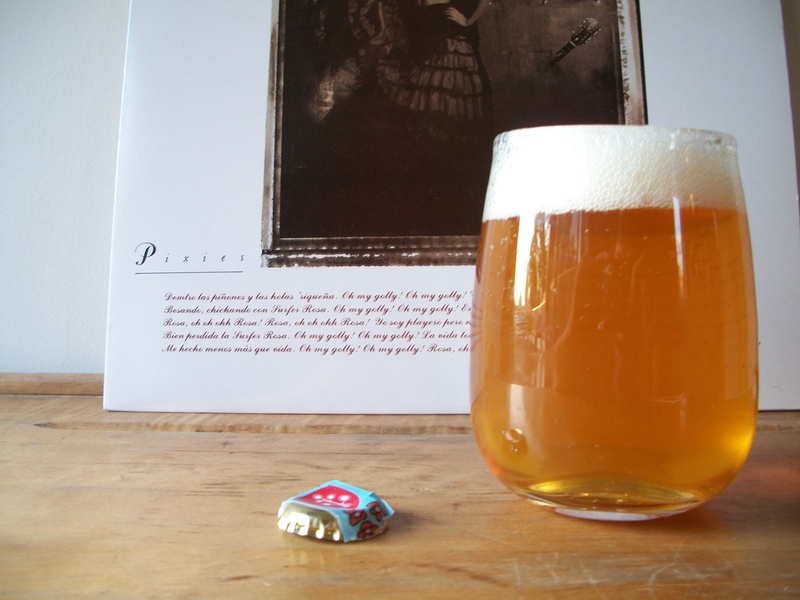 Brewed by the self-proclaimed gypsy brewing company Pretty Things Beer and Ale Project, the Jack D’Or is a golden Saison that pours with a creamy head. The smell is yeasty and lemony, while the taste is crisp and hoppy, yet spicy. 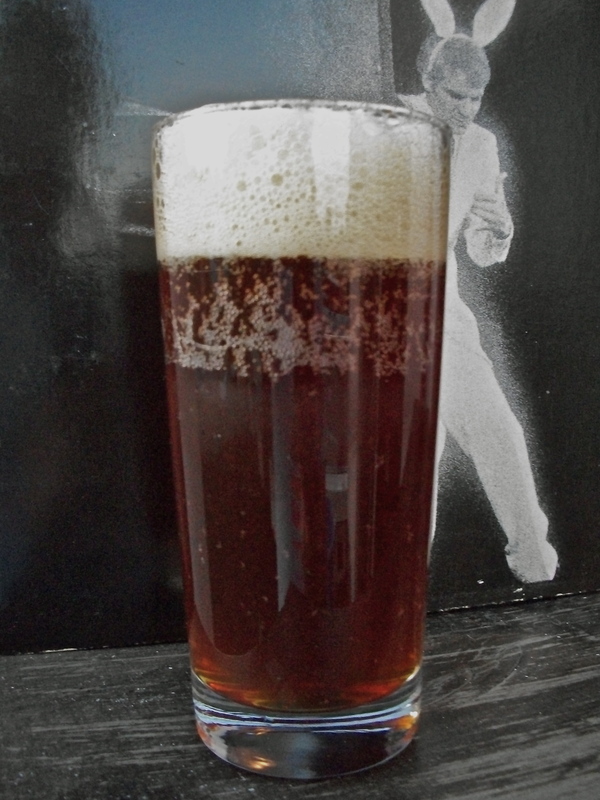 The beer itself is thick and, though best served cold, gains some complexity as it warms up. Pretty Things is headed up by the husband and wife team of Dann and Martha Paquette. 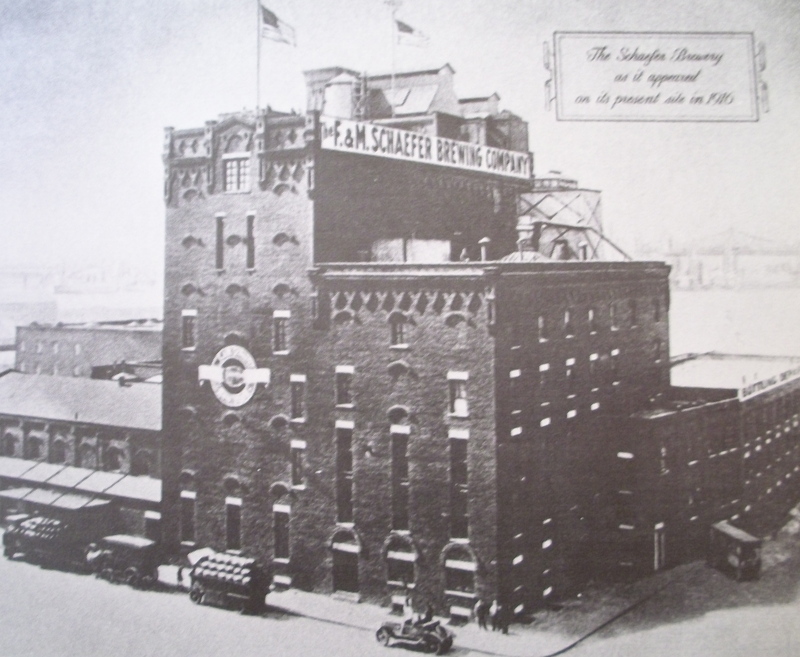 Dann was formerly brewing beer at a family-owned brewery in Harrogate, England. Because the Pretty Things brewery doesn’t have a physical location, Paquette is free to move around to other breweries where he can develop whatever style suits his fancy. The Jack D’Or is being continually refined. 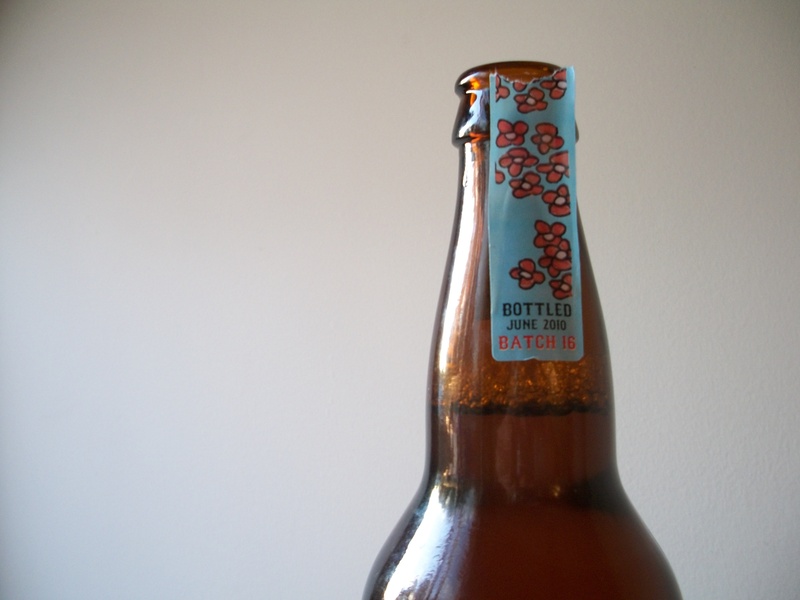 You can see that the bottle I’m reviewing is noted as Batch 16 on the label on its neck (see picture above). 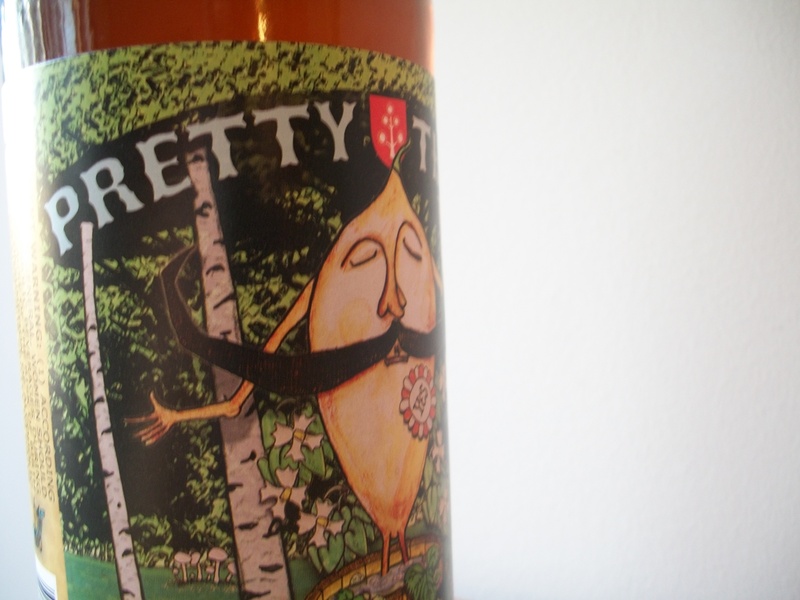 Pretty Things refers to the beer as a “Saison Americain.” It’s an American take on beers like Saison DuPont and many Wallonian beers. 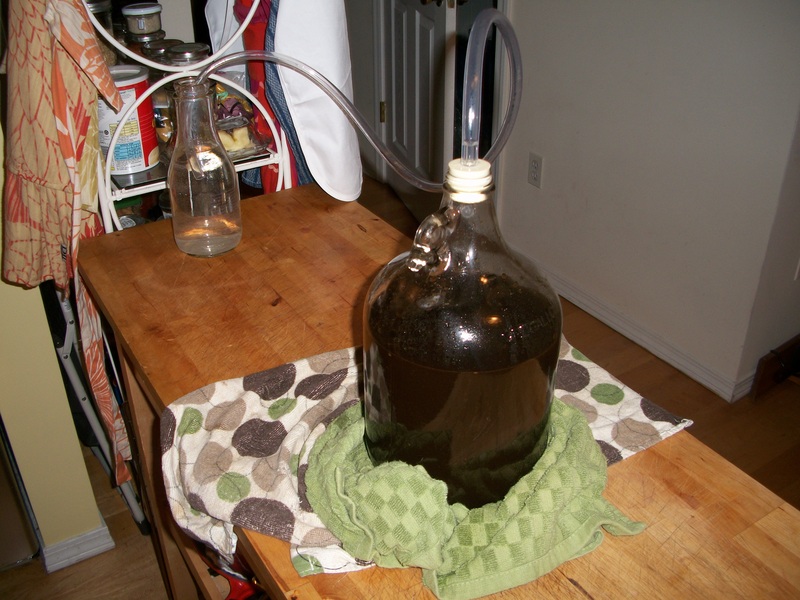 Saisons are beers that are bottle conditioned and top fermented, which means the yeast gets to work once the brew has been contained in its bottle. Saisons originated in Wallonia originally, a French-speaking region of Belgium. Like many beers of Belgium, the Saison owes a lot to the ethos of winemaking. The Belgians perfected re-fermentation in the bottle. It’s the same process as champagne (or sparkling wine if you make the bubbly somewhere that isn’t in the Champagne region of France). Saisons are often described as summer beers. But today they can be enjoyed in any month of the year. The theory is that before refrigeration, brewing often stopped during the warmer months of the year, which meant that there needed to beers available that could retain their flavor over a few months. From the bottle to the beer itself, I just love everything about the Jack D’Or. It has a taste that reminds me a lot of a pilsner, but it’s thick like a stout. This is a heavy, golden brew that has the body of red wine. Bottle conditioning creates some really intense flavors that are pulled purely out of the simple ingredients of grain, yeast, hops, and sugar. The page for Jack D’Or mentions that no spices go into the beer. Yet there is a distinct spicy taste. 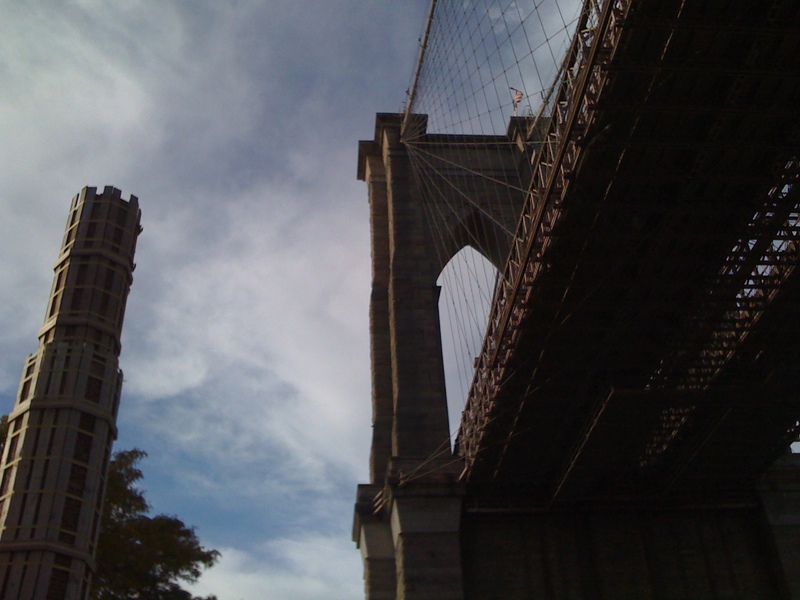 If you’re in Brooklyn, Pretty Things beers are available at the Bell House and Barcade, or for take-away at fine merchants such as Grab and Bierkraft in Park Slope. If you’re in Spain, munching your way through one tapas bar after another, and say to the bartender, “Una cerveza, por favor.” Chances are he’s going to pour you a Cruzcampo. While not the greatest beer in the world, the taste of this golden pilsner is forever associated with Spain to me. It’s light and crisp and when served in a half-pint glass, goes down fast. The Spanish love this beer. It is quite literally everywhere. To beer snobs, the taste can be a little bit of nothingness and some corn with an aftertaste of skunkiness, and I certainly had one or two glasses that made me change my drink order to a glass of txacolina. But for the most part, feeling pleasantly fried by the sun and full of jamón, a cold Cruzcampo hit the spot in a most heavenly sort of way. 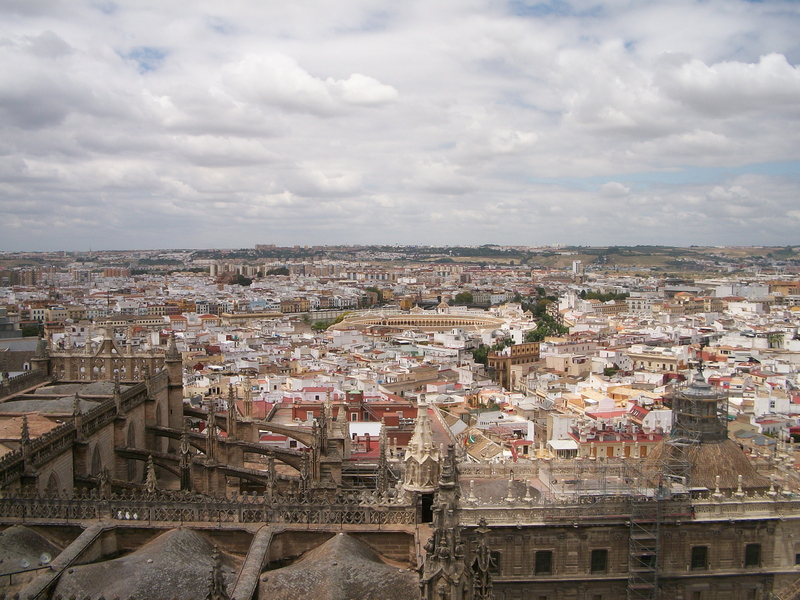 The Cruzcampo brewery was founded in 1904 in Sevilla, Spain (pictured at the tippy top of this post) by brothers Roberto Osborne and Agustin Osborne. Next to the brewery stands La Cruz del Campo (The Cross of the Field), which is a small temple that stands in view of the brewery. 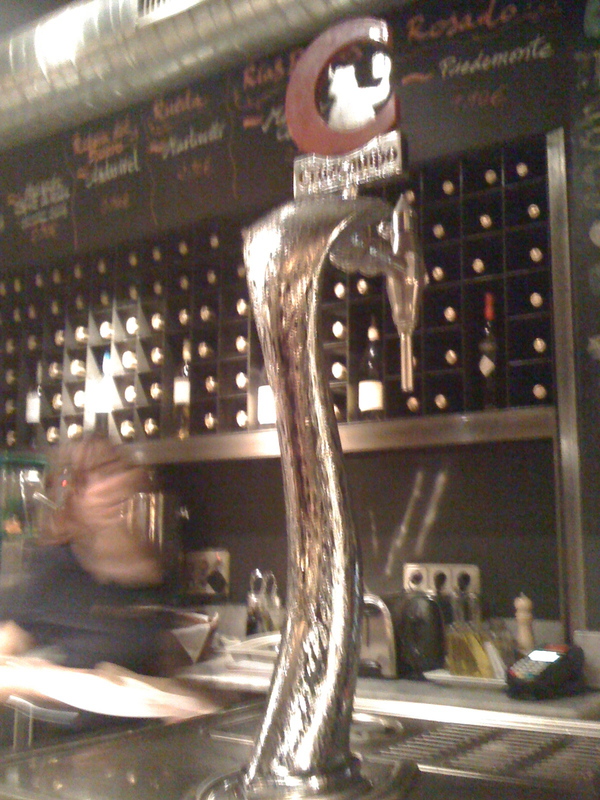 Cruzcampo was the first brewery in the province of Andalusia (more info here). 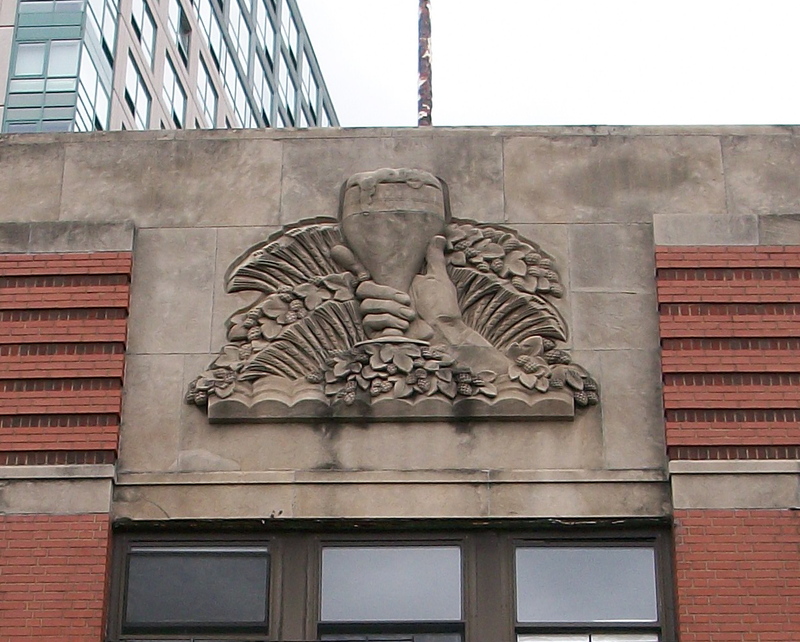 The brewery is now owned by the Heineken Corp. Its previous owner was Guinness. One last note, the Cruzcampo logo depicts King Gambrinus, the patron saint of beer. Hail to the king, baby. There are times when you have to get away from it all to discover something that’s been staring at you without your notice for far too long. For me, that was rediscovering the glories of an IPA, while tasting beers in Montana. American IPAs can be some heady brews with bold and bitter flavors offset by strong citric acids. The high alcohol by volume (ABV) means these beers often pack more than just a flavor punch. Maybe it’s my East Coast-centric worldview, but it’s easy to forget how the Pacific Northwest is such a fertile bed for hop production – hence the proliferation of so many West Coast IPAs. The Pacific Northwest’s Cascades range is one such region, which is thick in hop production. And, ahem, not that IPAs haven’t spread throughout the U.S. and not that I don’t have something to say about it, just that I’m trying to wind my way to a point without mentioning how New York State used to be one of the largest U.S. producers of hops or that Brooklyn’s Six Point Craft Ale‘s Sweet Action is an IPA to inspire. My point, and I suppose I might have one, is that with so many hops grown in Washington and Oregon – and with craft brewers excited to experiment with new varieties – a trip out West should be one where myriad IPAs are consumed. 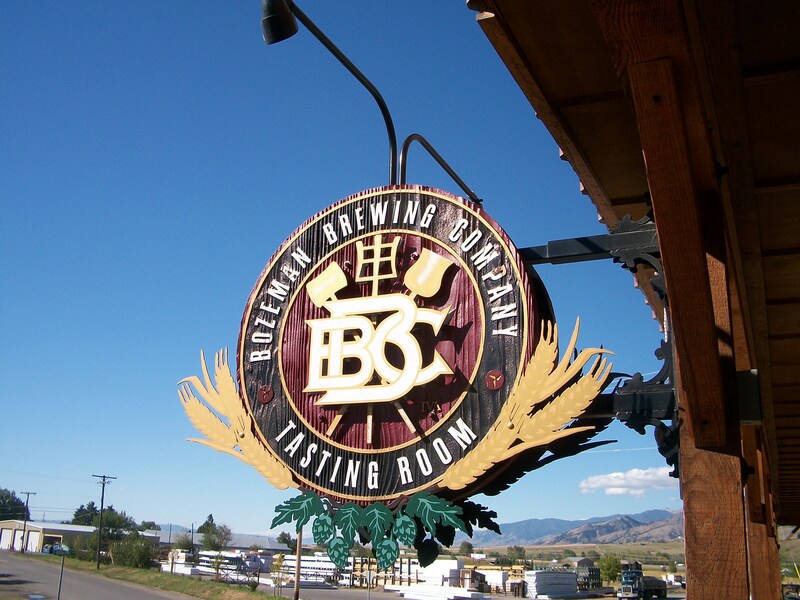 Enter the Bozeman Brewing Co.
Bozeman Brewing was founded by Todd Scott, former employee of Spanish Peaks Brewing Co., around 2001. The brewery, a former pea cannery, produces three basic beers and five seasonal varieties. Its logo (pictured above) features elements from historic Montana beers (see New West for a detailed profile of the brewery). Scott has added a tasting room to the front of the business where about five beers are on tap and growler refills are in quick supply. The Bozone Select Amber Ale is its flagship beer. We tried all of the beers on tap that afternoon. There were four of us in my party, so we were able to spread the beers around to get a full sampling (worth noting because Montana breweries not only have to close by 8 p.m. but also must limit each patron’s sampling to a total of three beers). I was impressed by all of them, although, the Hopzone was a little too astringent in its bitterness to me. I can be sensitive to overly bitter flavors at times, which means that after one IPA, I’m usually done and ready to move on to an ale. I’m not into this drive of late to push the alcohol envelope in beers. Give me flavor and I’ll keep coming back. It was with this in mindset that I dipped my beak into the Imperial IPA (everyone’s gotta have a high-ABV IPA that costs a few sheckels more) and, though enjoyable, didn’t blow me away. I liked the Belgian-Style Wit Beer and have to side with Tim Webb who noted that “American imitations [knock] the socks off certain freshly imported ‘real’ Trappist ales,” in his introduction to Stan Hieronymus’s must-read Brew Like a Monk. But I’d yet to find “the one” to rule them all. That’s when I had my first taste of a Cascadian Dark Ale. The style was picked up by San Diego’s Stone Brewing Co. with the brewery’s Sublimely Self-Righteous Ale, which is a double IPA (see this Beer Advocate article on American double IPAs for more info; in America, we go big with everything, y’know). The style has spread like a hop vine from there. 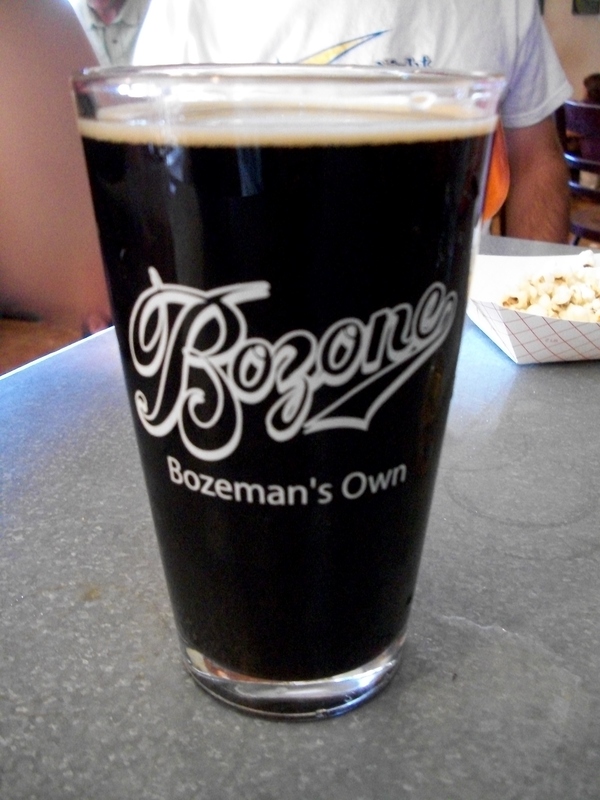 I’d not had the pleasure of drinking a Cascadian Dark Ale until I hit Bozeman Brewing. It was fantastic. Not too bracingly bitter, easy to drink, distinctively stout with a rich roasty malty taste and an IPA’s carbonation. I didn’t take it for an IPA at all at first. I thought it was a just a stout. My initial ignorance made me overlook the complexity going on with this beer. Further sips brought out the hoppy crispness of an IPA. 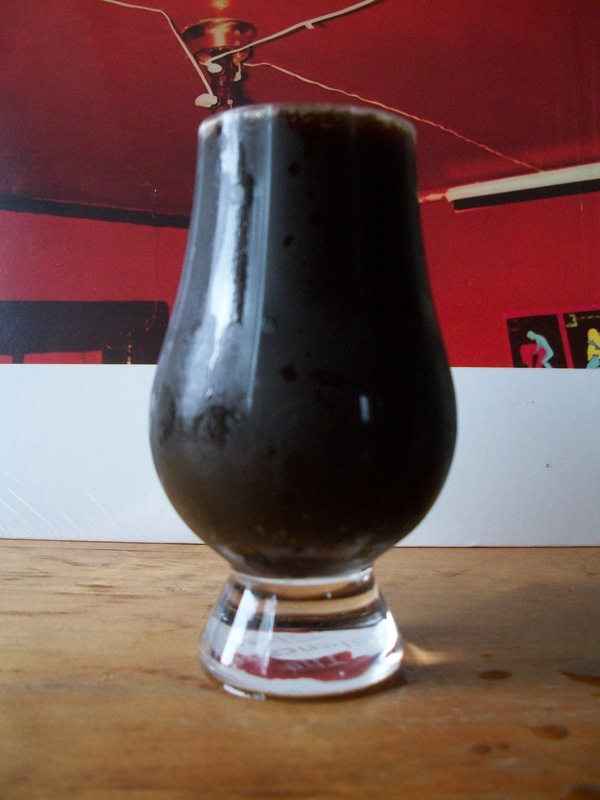 There’s a lot going on in these Cascadian Dark Ales. Though the style originated on the East Coast, it took a trip out West for me to discover this amazing beer. Expect more on these beauties in the future. This was the scene on my kitchen island after a trip to Trader Joe’s and an Associated. I’m back from Montana, though I’ve been playing catch-up with what’s left of the week and feel satisfyingly tired, which is the sign of a nice vacation, I think. There will be another post on some Montana beers in the next few days and then back to whatever it is we do here. Anyway, so I dropped $3.99 on a two-four of Cerveza La Playa, est. 1968, at ye olde Trader Joe’s. Then for fun, I put it in a fancy Sam Adams pint glass with a slice of lime. Why the lime? Common wisdom (i.e., the crypto-racist ramblings of lazy Americans), says it’s because when you’re drinking a beer in Mexico, the lime wedged in the mouth of the bottle chases away flies. I’d believe it if I heard the same said about a slice of orange in a hefeweizen. The reason is just style. Perhaps also to mask the not-so-greatness of the beer. Also, a lime is most commonly seen in a bottle of the Mexican pilsner-style Corona. Y’know, the imported beer that is sold in a clear, glass bottle. There’s a reason why most beers are bottled in dark brown or green bottles – it keeps the sun and other ambient light out while it sits on the shelf. I’m a big fan of Mexican beers, in general. Never been much for Corona, although the Grupo Modelo Brewery (which brews Corona) makes some of my favorites – Pacifico, Negra Modelo, and Modelo. Cans of Modelo are frequent visitors to my fridge. Dos Equis is also a welcomed guest to my tummy. One of the greatest beers I ever drank was a Tecate. I was on a bus in Mexico heading back from a day spent touring the ruins of Chichen Itza, a Mayan pyramid. It was a very humid, sunny day in early March. After a day spent in such a hot environment with very little shade – I was all tuckered out. So then about forty minutes into the ride back, the tour bus driver opened up a cooler and started passing out cans of Tecate. No limes. “This is the best beer in Mexico,” he said. I cracked mine open and took a long pull. He was right. He was so right. He was also the greatest tour guide ever. What’s even better, is that I could crack open a Tecate right now and feel the same. I just love that beer. It’s a little sweet. Very drinkable. The head up there in the picture is what was left after thirty seconds of snapping bad pictures, thirty seconds more of bad photography, and the head was gone entirely. Definitely some corn or corn-syrup flavors. Aftertaste can be a little soapy. It’s much improved by a wedge of freshly cut lime. 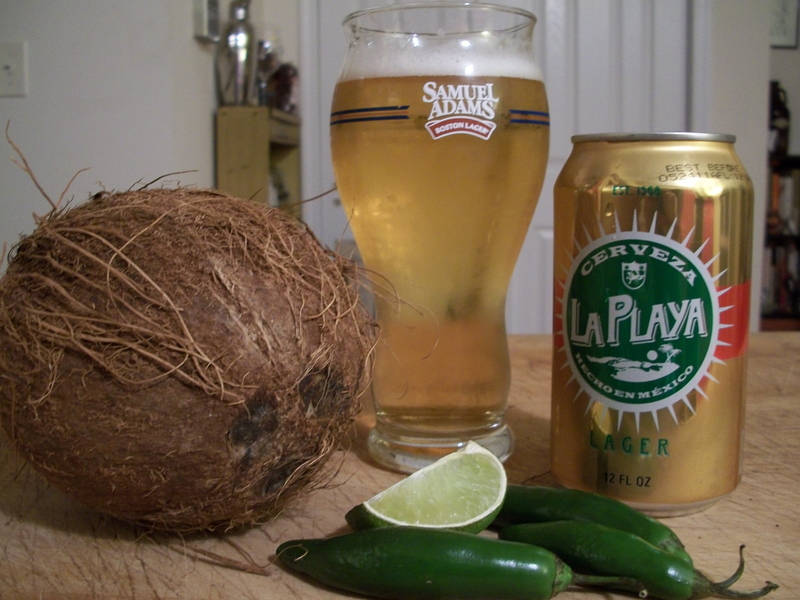 Unlike other Trader Joe’s beers (Red Oval; Simpler Times), La Playa doesn’t create as much tummy rumbling. Granted, I stopped after two, which isn’t really getting in the spirit of pounding cheap beers and such. But still. This beer is similar to a Corona Light in that it also has a certain staleness of flavor that some watery light beers can acquire – sitting around absorbing too much sunlight. Cerveza La Playa tastes better in the can, honestly. It’s not one you’ll crave later. So – go fast; go hard.